Baptism is going public about your faith in Jesus and shouting to the world your heartfelt commitment to following Him. It’s the next step after salvation. The Book of Romans says that when we go under the water, we identify with Christ who went into the grave, and when we come out of the water, we identify with His resurrection. Baptism signifies what has already happened to us spiritually. Our old identity as a sinner is gone, and we rise with a new identity in Christ. 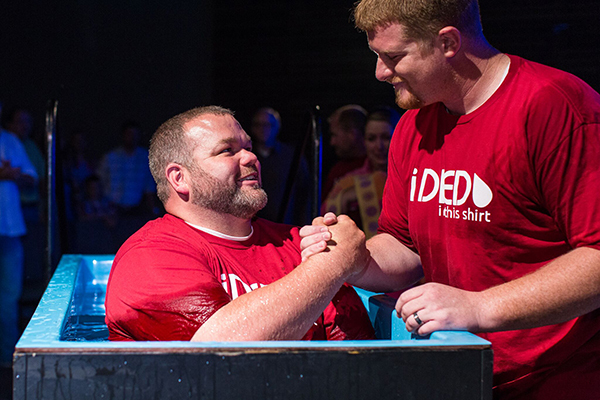 Baptism is an outward expression of an inward decision for Christ. A note about baptism for children under 12: We love when children are baptized at The Bridge! The basis for water baptism is salvation, and we know that a real conversion can happen in the life of a child. However, before any child under the age of 12 years old is baptized they must meet with a pastor. This is simply to ensure that the child fully understands the significance of water baptism. 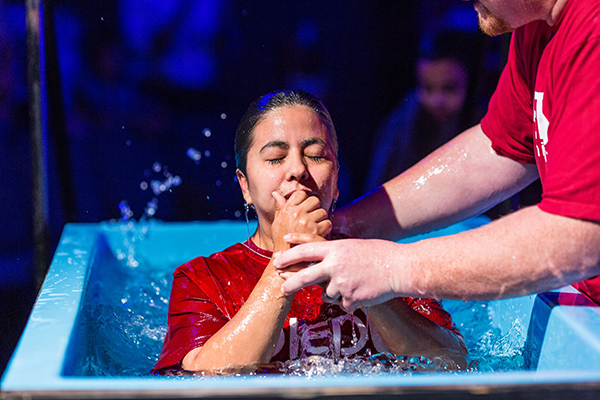 Our goal is not to baptize anyone, whether child or adult, who does not know Jesus Christ as their Savior and who does not understand the ramifications of their decision to publicly share that decision. By meeting individually with children under 12 years of age we are able to ensure the candidates for baptism comprehend the significance of the event. Baptisms are scheduled many times throughout the year. Find the next date using the button below.